Pramac 630 kVA Three Phase Doosan Diesel Generator, PFL. The Pramac GBW-PFL and GSW-PFL water cooled diesel generator series deliver world class commercial standby backup power performance. 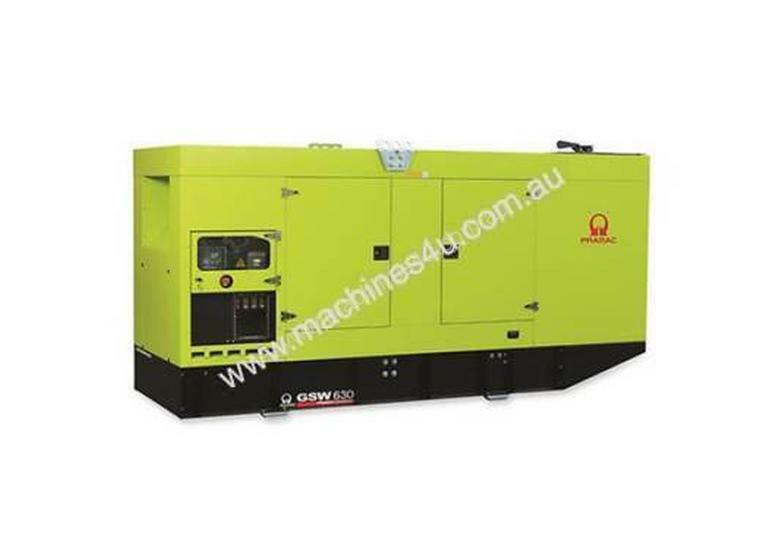 Pramac GSW630DO PFL, 630 kVA Three Phase Doosan Diesel Generator 1yr warranty, comes with; a robust Italian designed Mecc Alte Alternator, digital automatic control panel, and soundproofed zinced steel full weatherproof enclosure. Pramac are considered one of the world leaders in power and energy solutions. Their gensets are renowned for their quality design, longevity and ease of operation and safety for protection for the user.